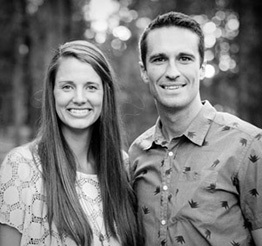 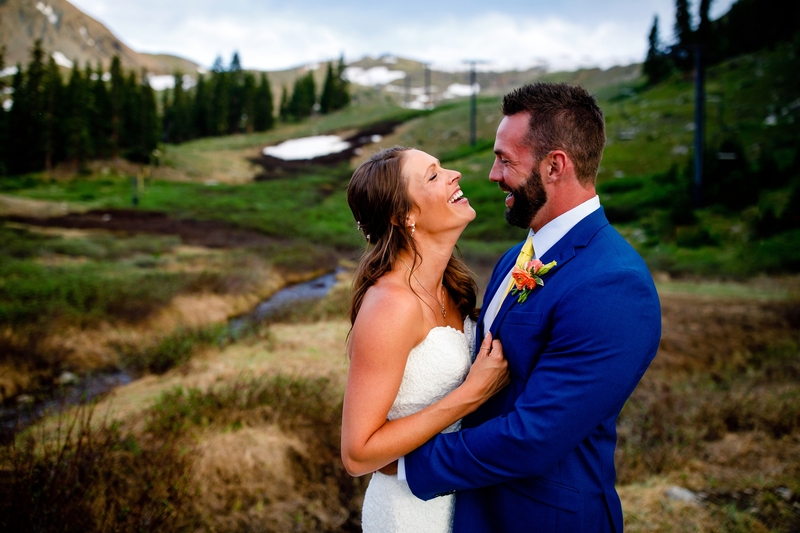 Having both lived in Indiana their whole lives, Blake & Amanda decided to change things up and make the move to Colorado in July of 2016. 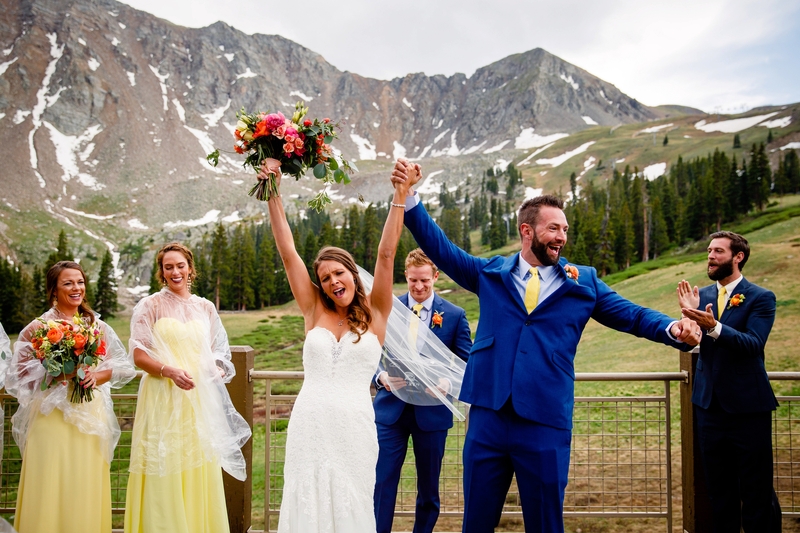 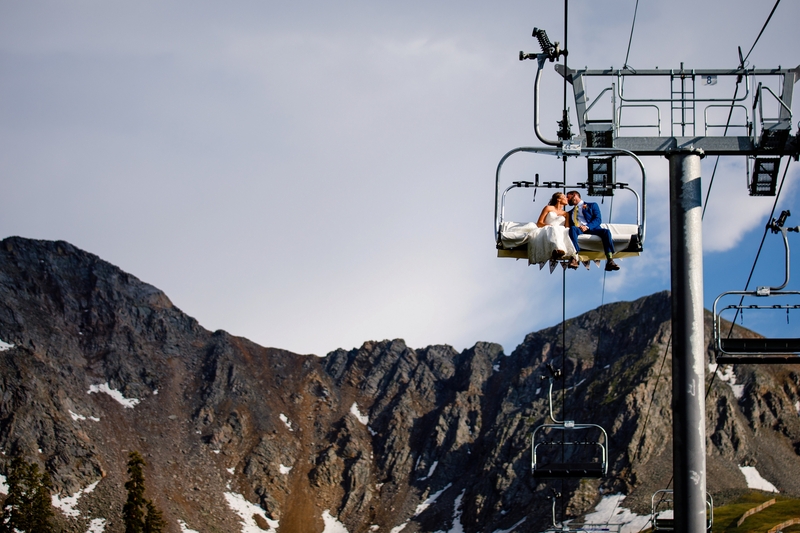 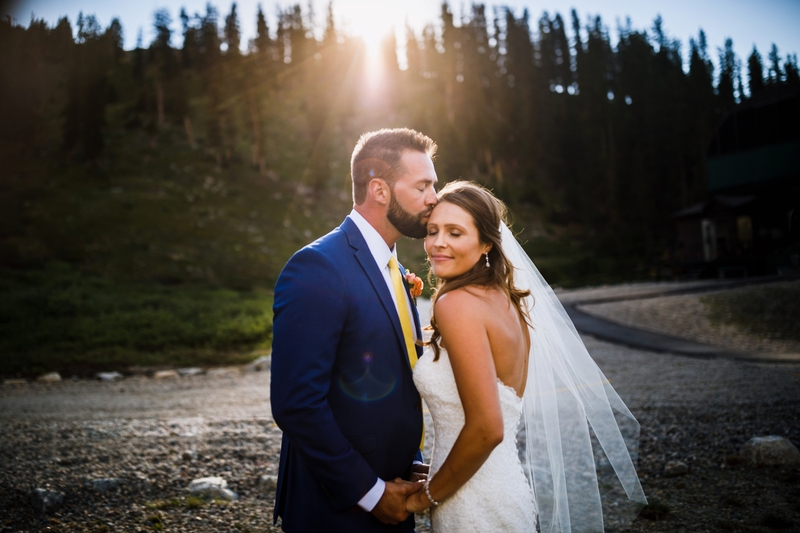 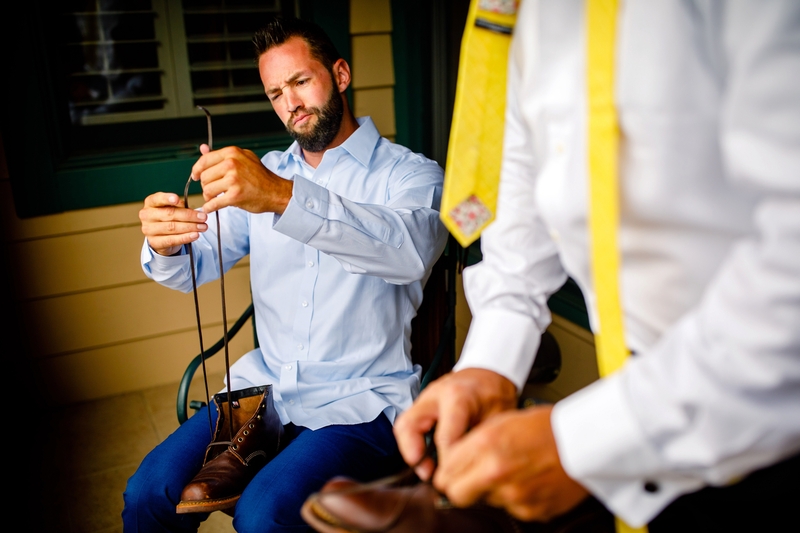 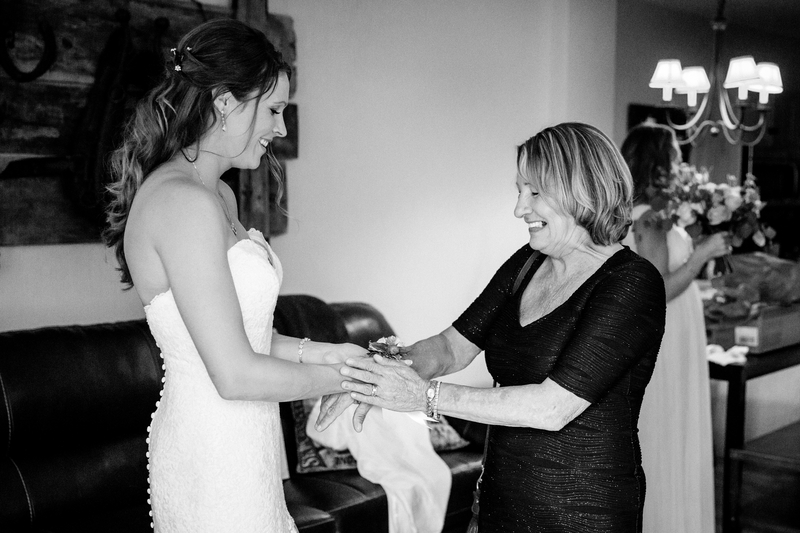 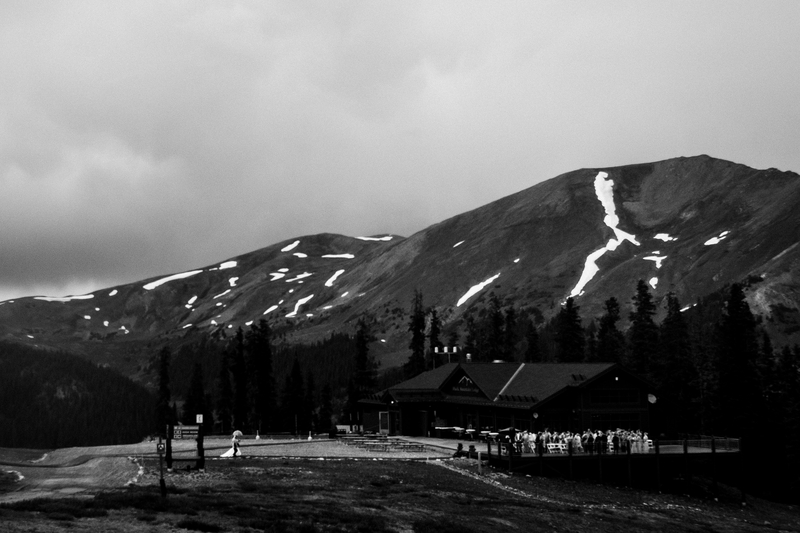 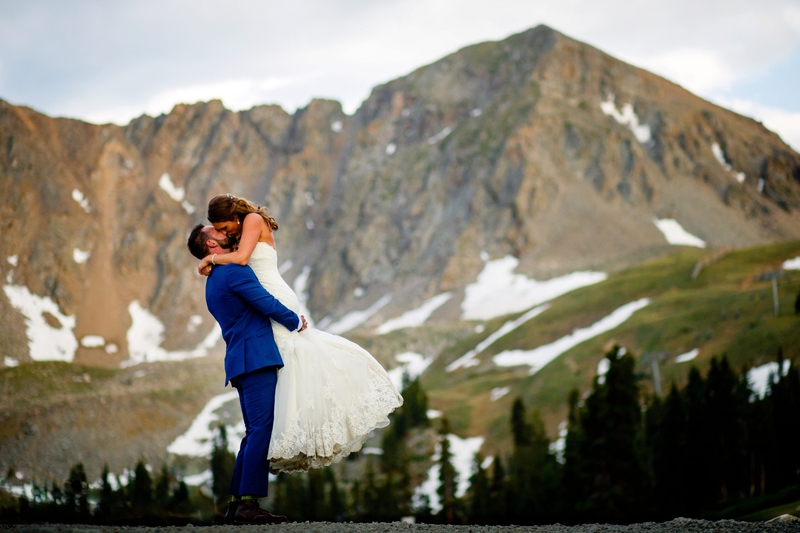 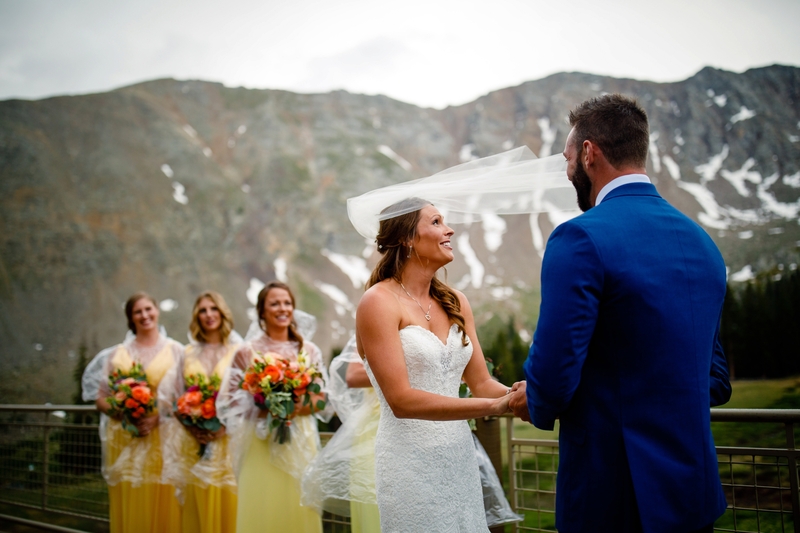 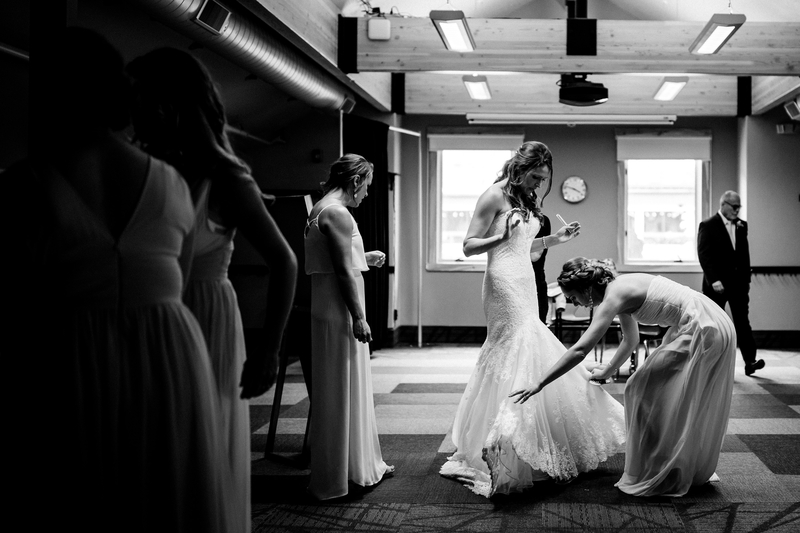 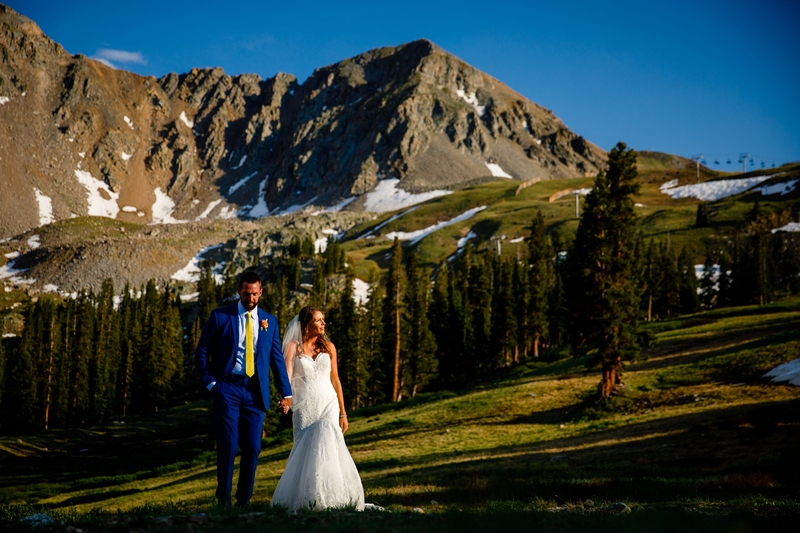 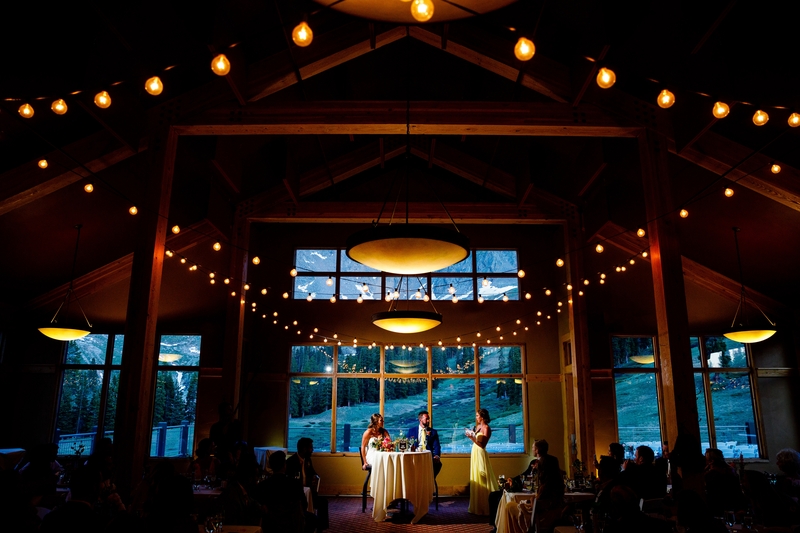 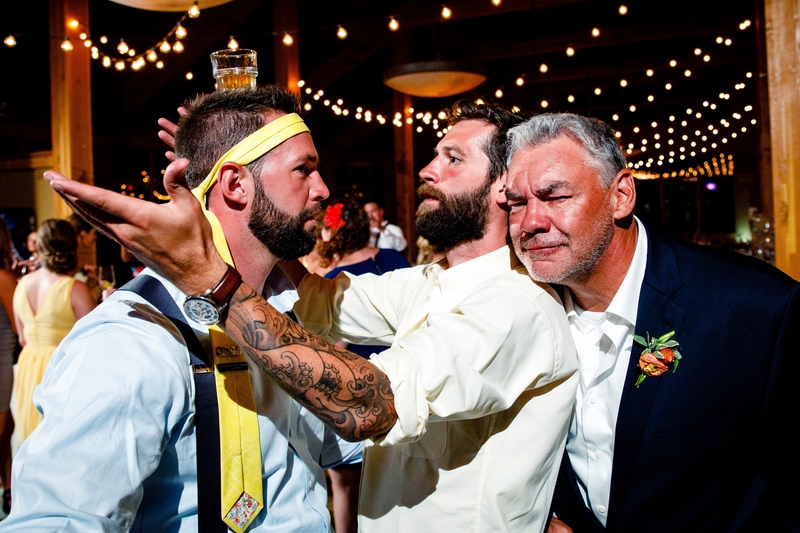 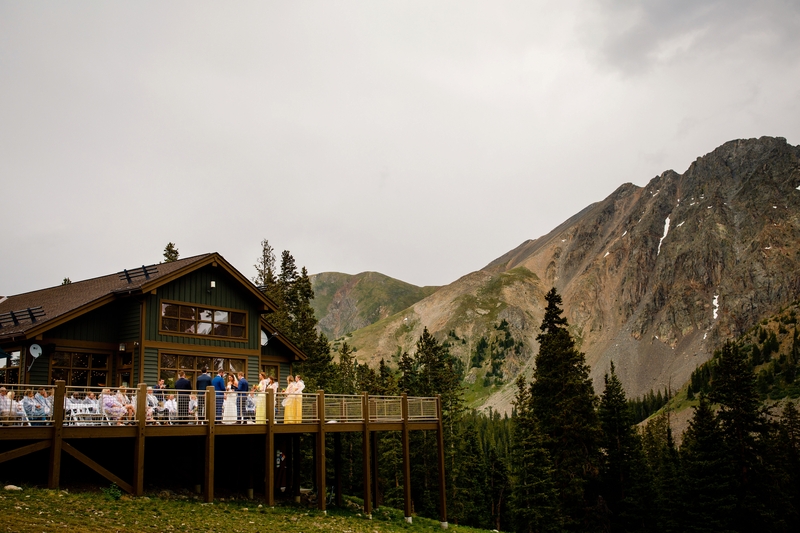 A year later, they wanted to celebrate their first year, but more importantly, their marriage with a Arapahoe Basin Summer Wedding. 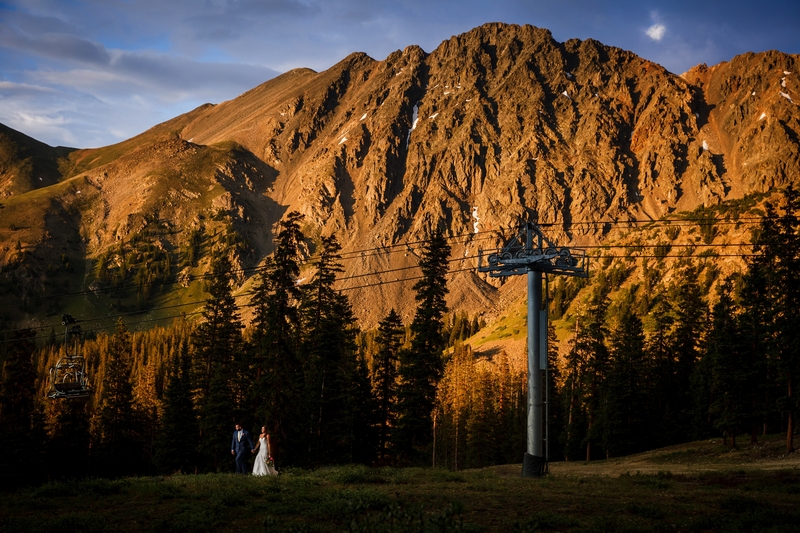 Because of their love for the outdoors, hiking and all that our beautiful state has to offer, a hotel or church wedding just wouldn’t cut it. 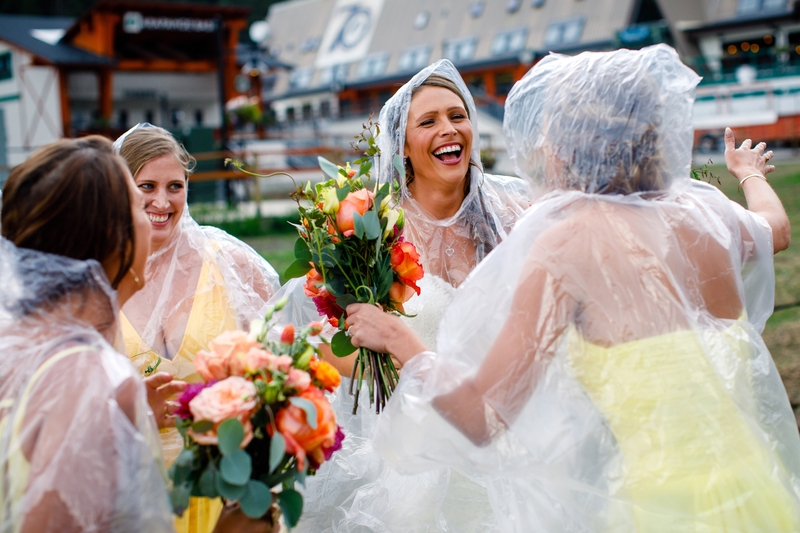 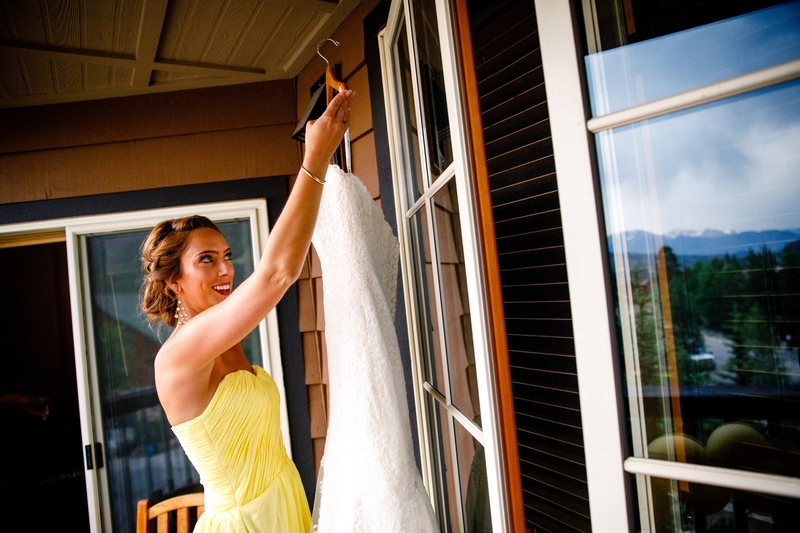 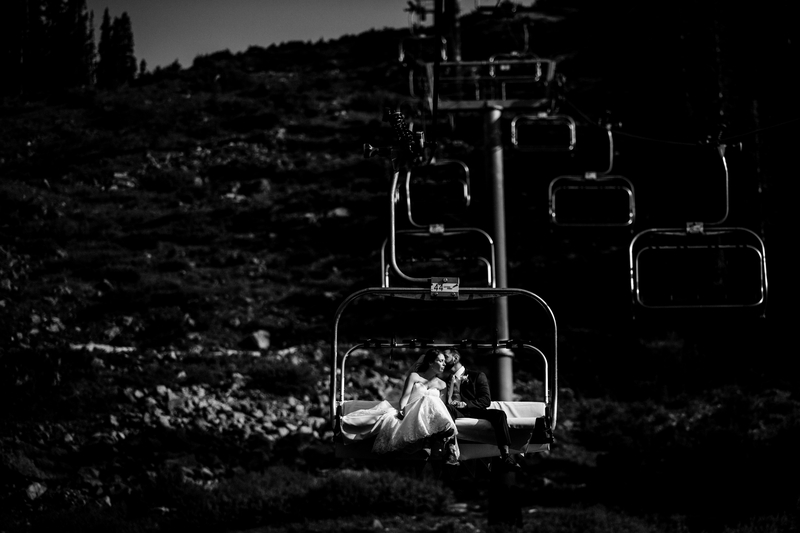 Ski resort weddings are usually an adventure by themselves, but riding up a chairlift in rain ponchos is quite the experience, especially for the first timers. 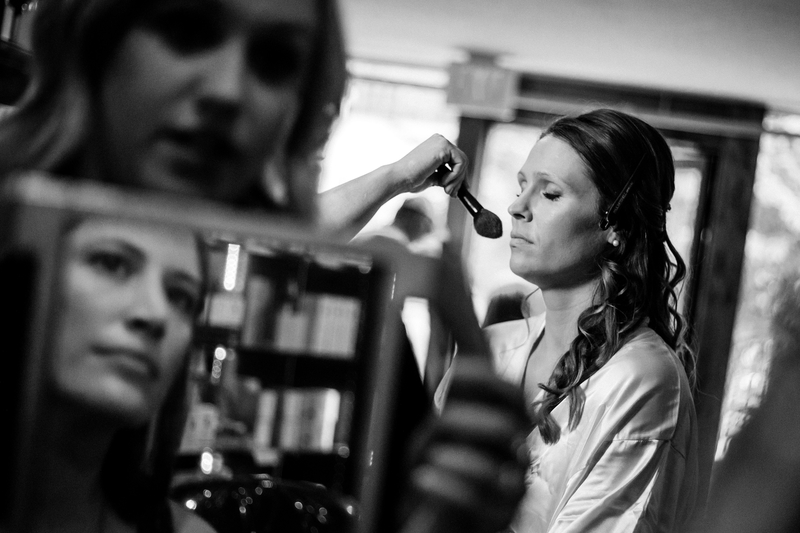 Amanda started off her day with the ladies at the Keystone Lodge & Spa. 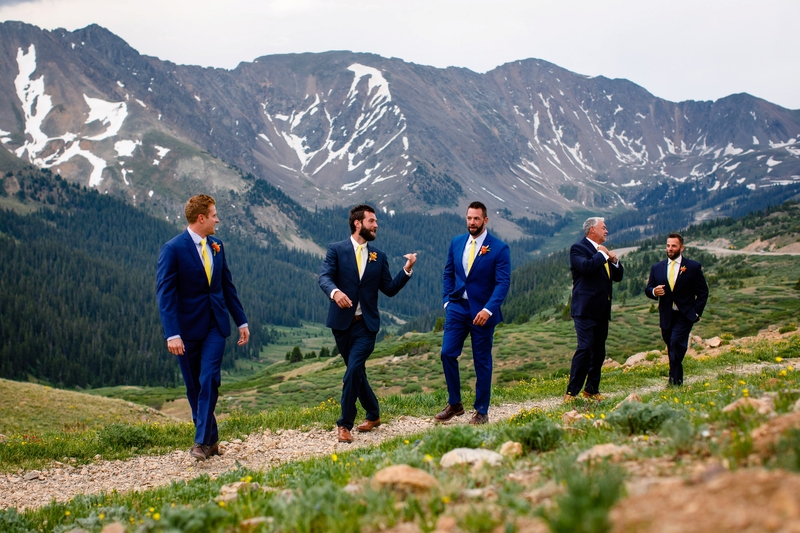 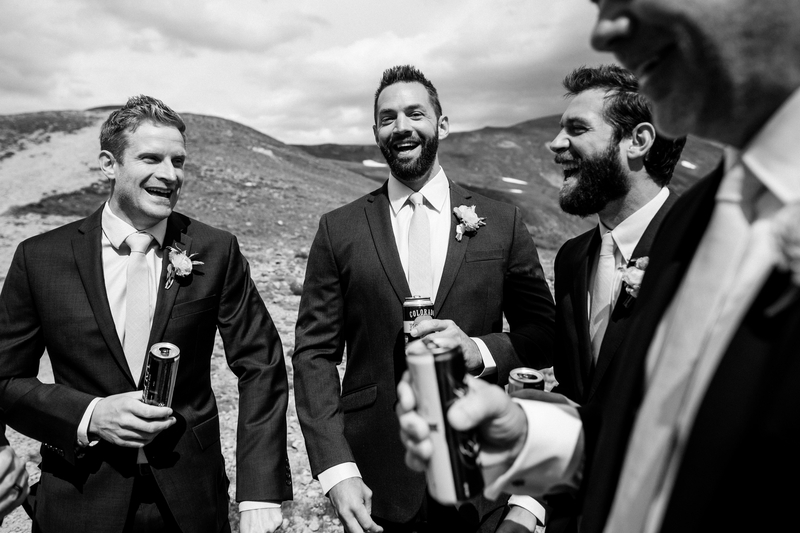 After hair and makeup was completed, we made our way to the base of A Basin for some group photos, while Blake and his groomsmen cracked a cold one on the top of Loveland Pass. 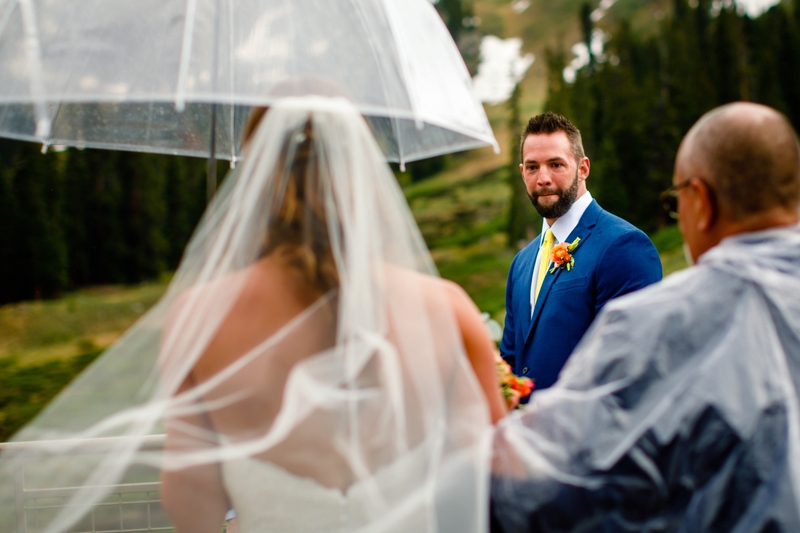 Nearing ceremony time, as predicted, the clouds rolled in and the rain began to fall, but it didn’t bother Blake or Amanda one bit. 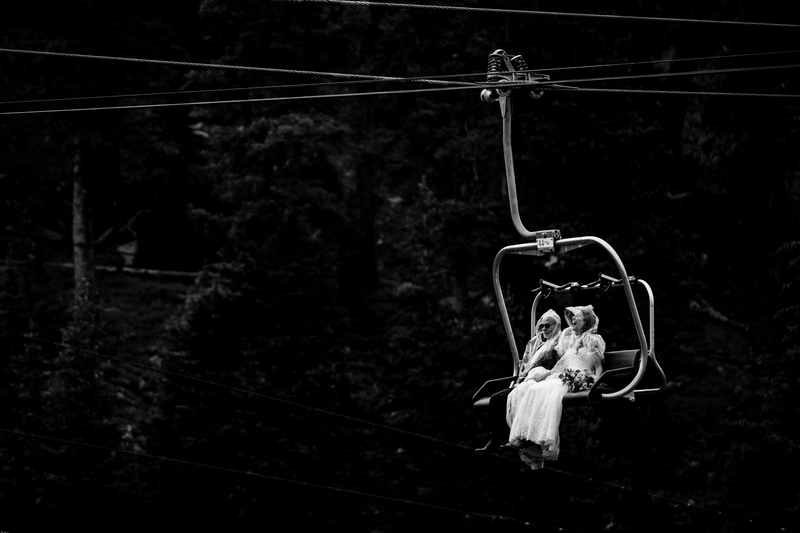 After adorning her rain poncho, she began the ride up with her father before making way down the isle. 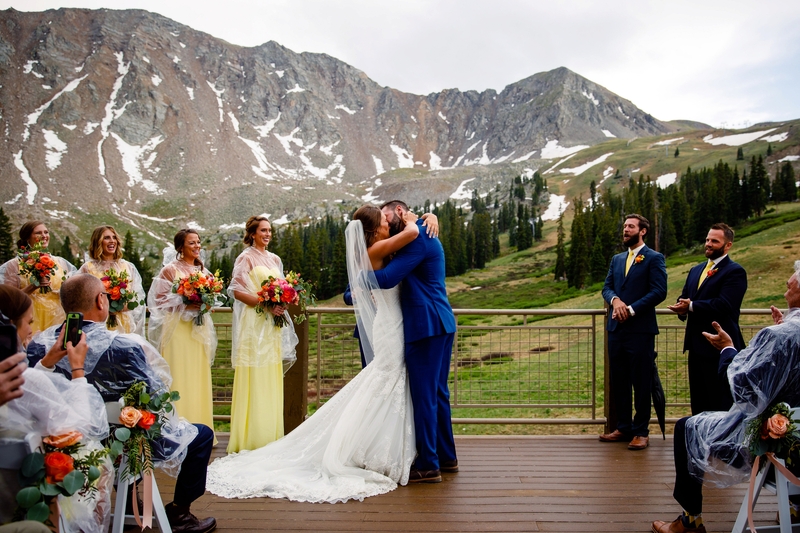 Mid-ceremony, the rain stopped and the sun began to shine as Amanda just in time for their first kiss as husband & wife. 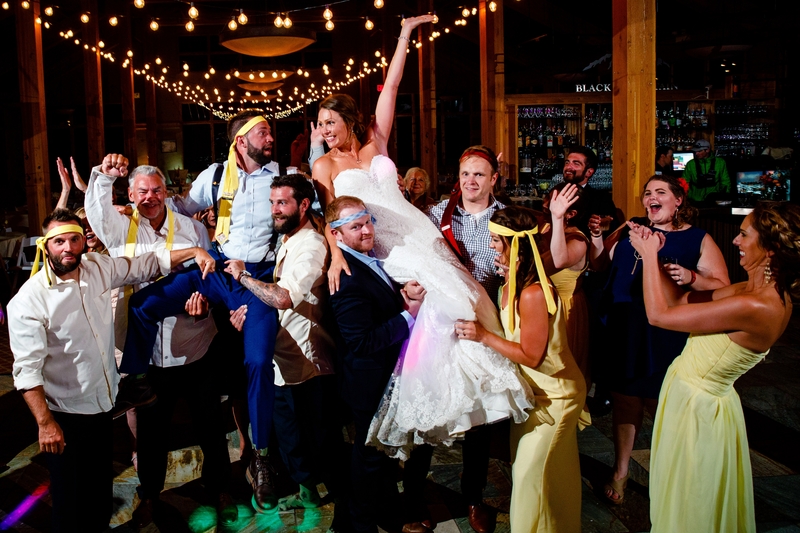 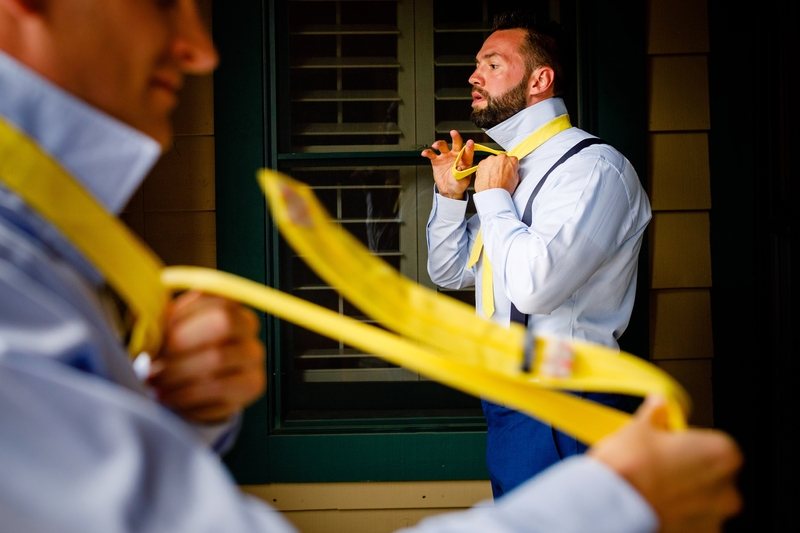 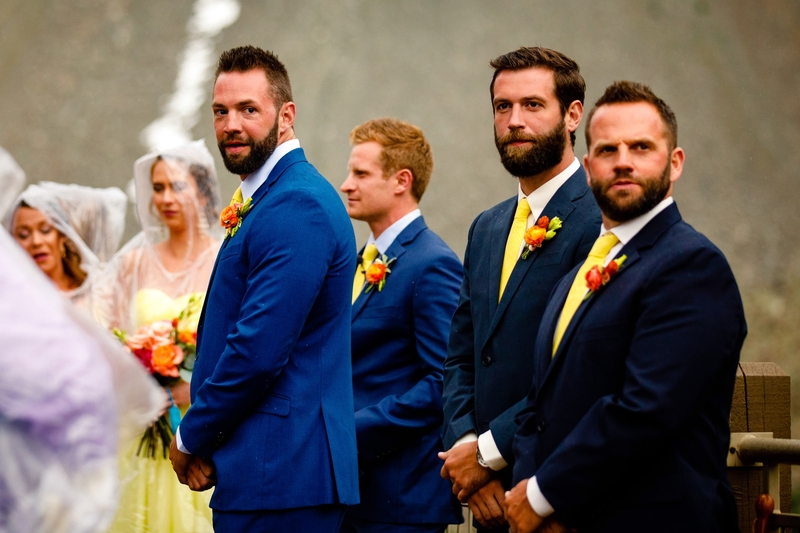 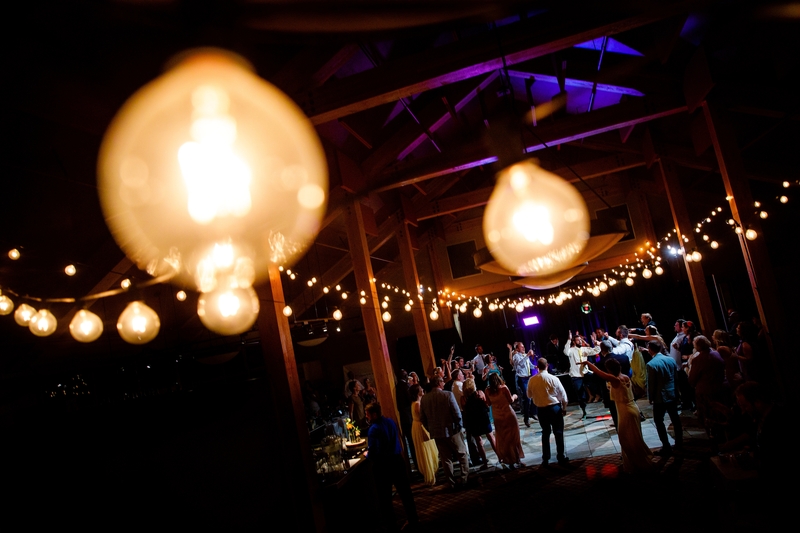 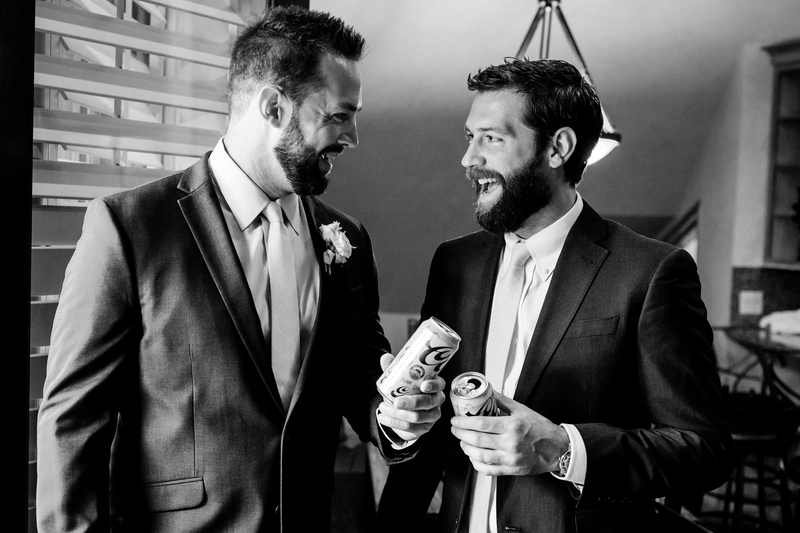 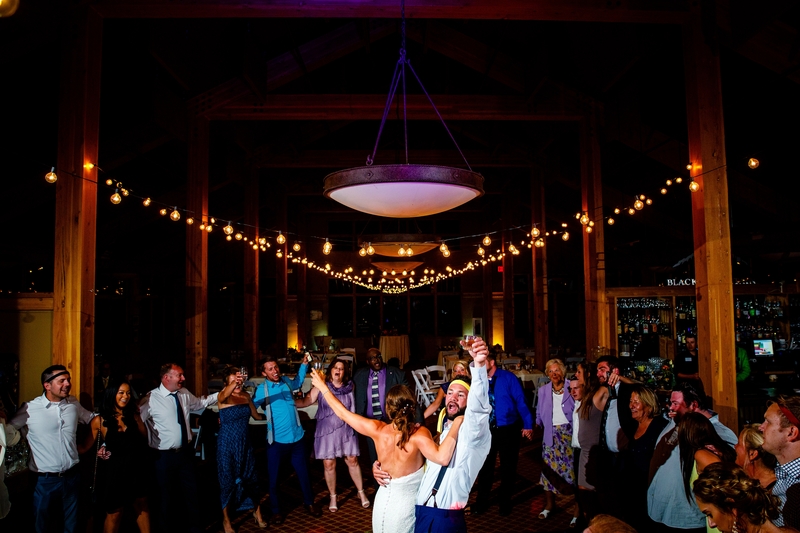 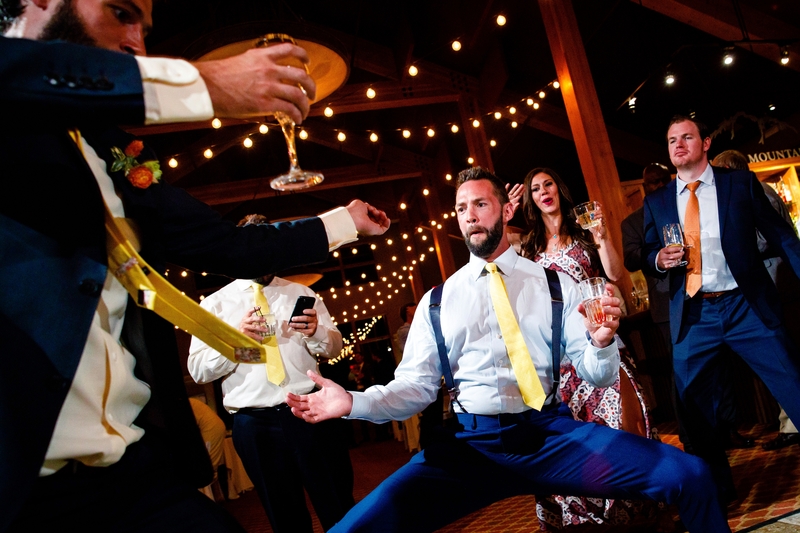 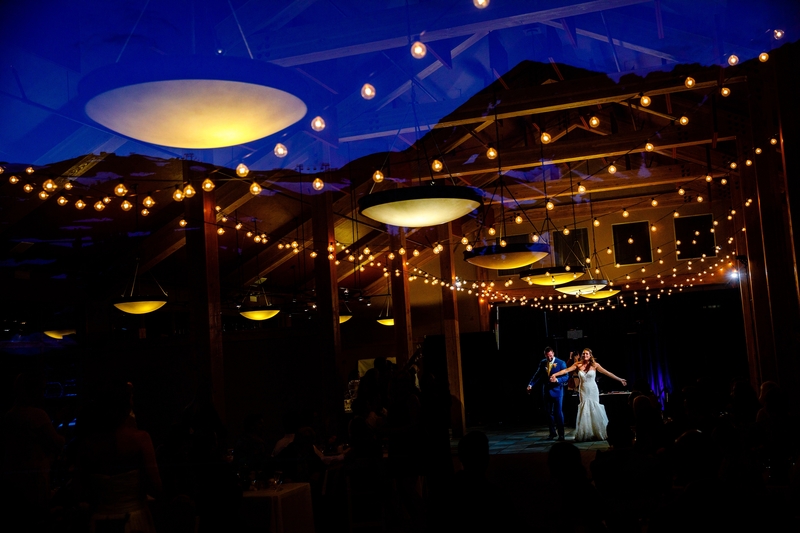 Shortly after their ride down and back up, their reception began with some amazing speeches from their closest loved ones… and then the party began. 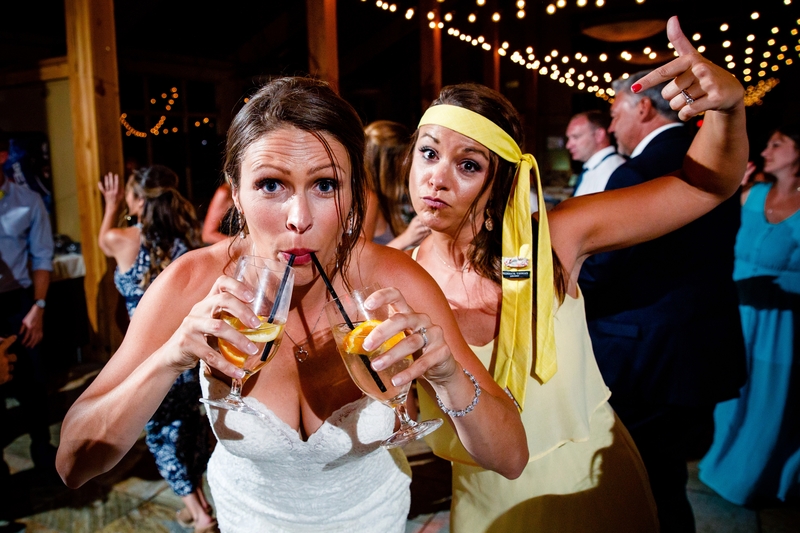 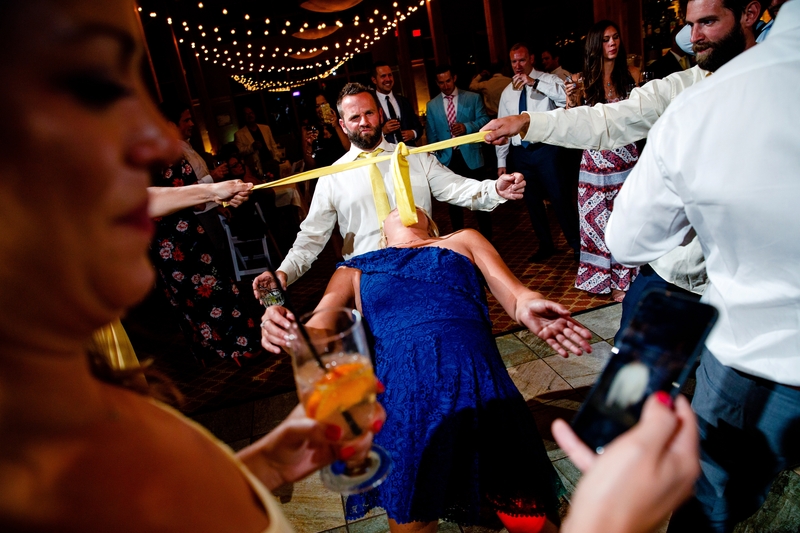 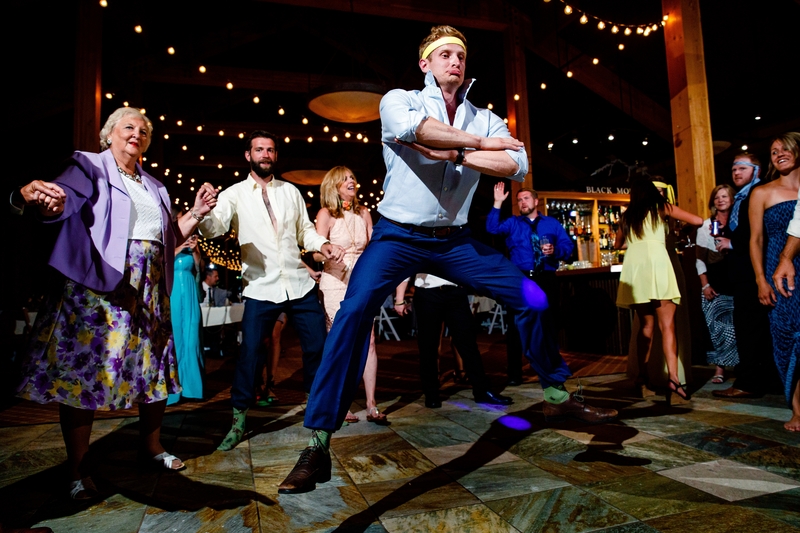 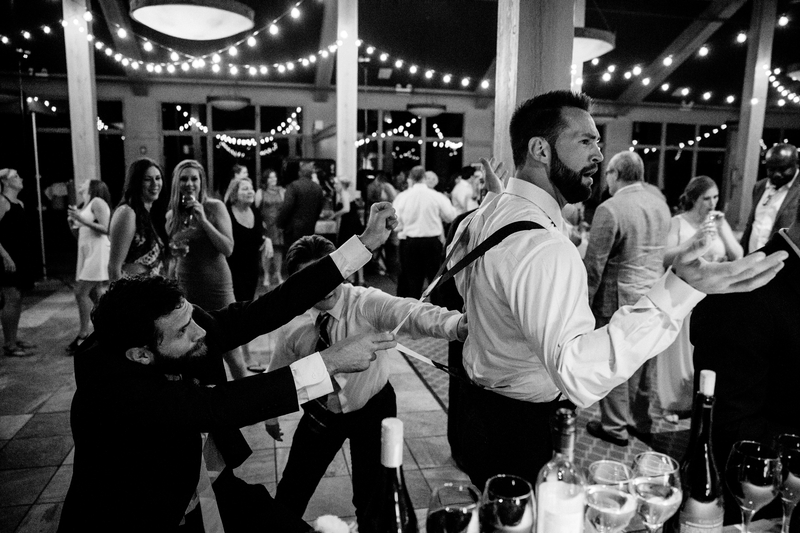 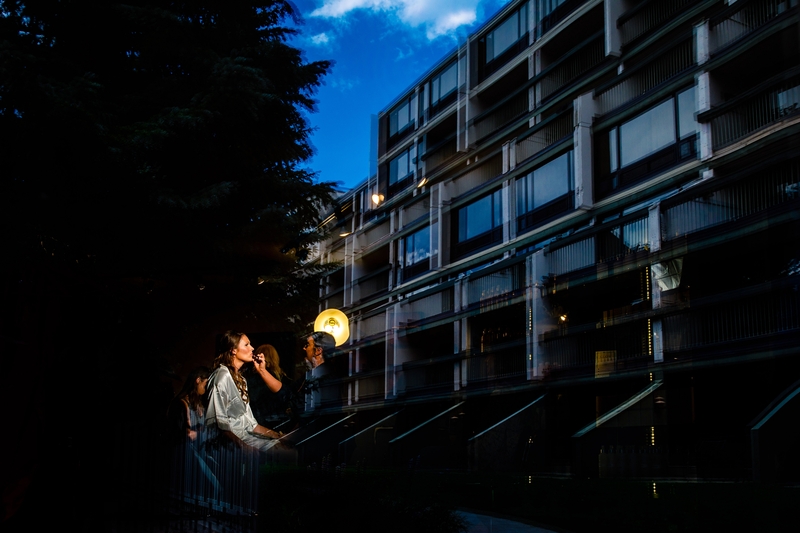 These two families know how to party, making it easy for us to smash that shutter button. 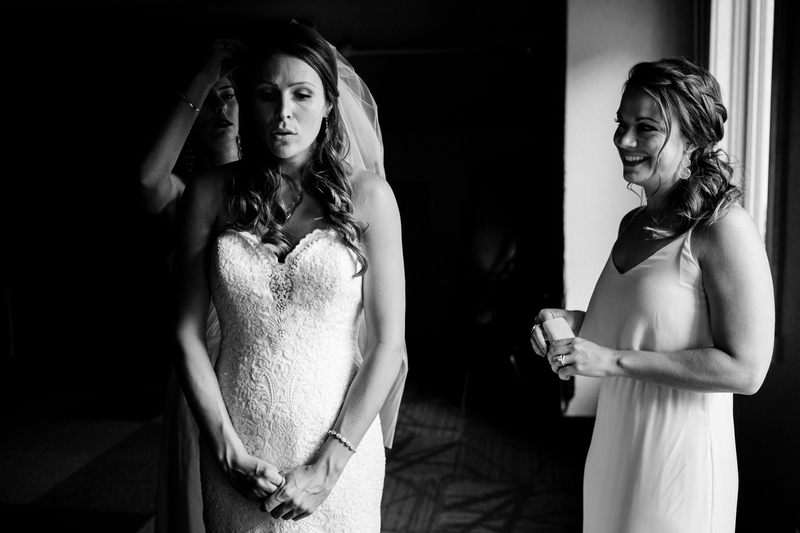 It was such a pleasure getting to know these two beautiful people. 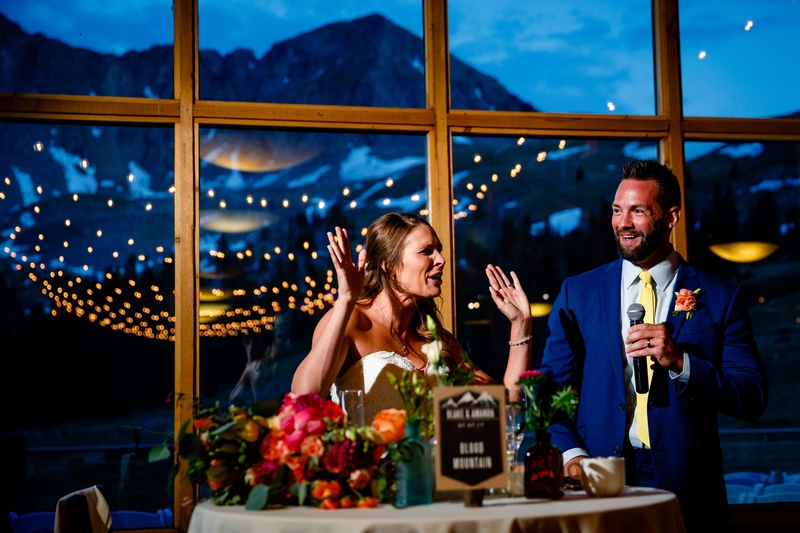 Spending some time with them during their Maroon Bells Engagement and then documenting their Arapahoe Basin Summer Wedding, with a side of rain, could not have been more delightful.